We won a camcorder and 3 laptops! 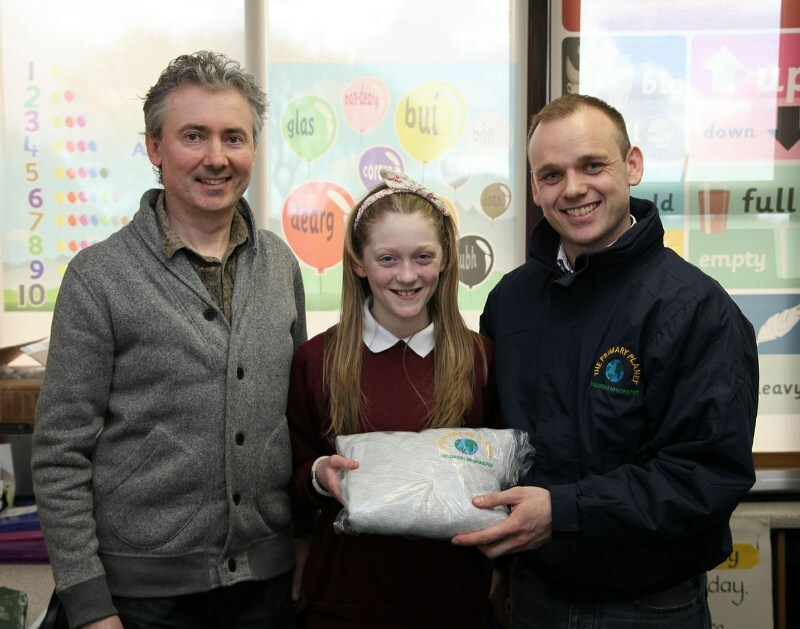 We were all excited when Pádraig Fitzsimons came from the Primary Planet magazine to present our award for winning their TPP video advert competition. 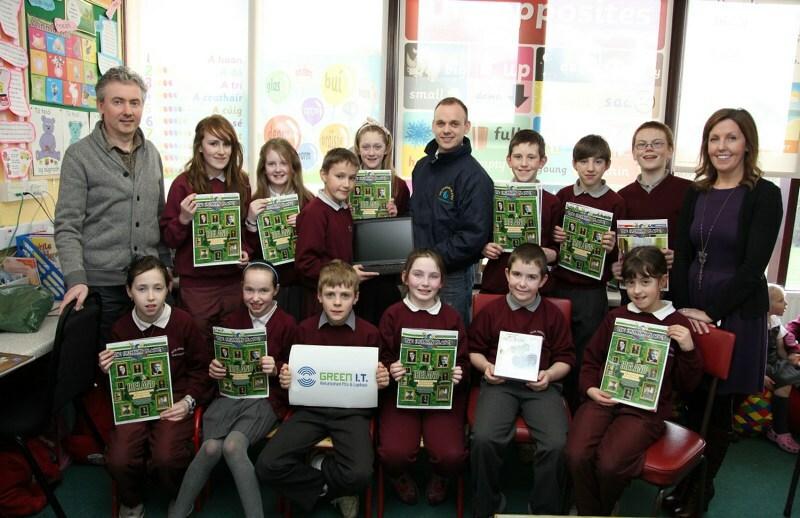 The Primary Planet is Ireland’s first magazine for children and we get it at school. We won 3 laptops and a camcorder for our school. GreenIT were the sponsors of the competition and our teacher won a weekend away. In second place came Windgap N.S from Kilkenny followed by Scoil Chóca Naofa, Kilcock, Co. Kildare. Pádraig Fitzsimons presenting us with our prizes. 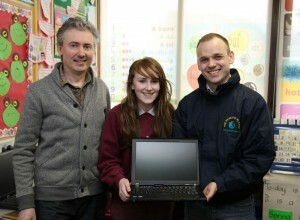 Then we had a raffle for a laptop for one of the pupils. Everyone in the Senior room who helped make the video had their name in a hat. I couldn’t believe it when Pádraig Fitzsimons pulled my name out!! I was very happy. Then Rebecca’s name was pulled out for a TPP hoodie. A photographer took photos and everyone had a great day. 🙂 View our winning video advert here. By Amy, 6th class. Rebecca receiving her TPP hoodie!